China’s urban fixed asset investment growth has accelerated 20.6 per cent year on year to $147.29 billion in the first four months of this year. The figures were revealed by China’s National Bureau of Statistics (NBS) on Monday. The growth was 0.3 percentage points higher than the pace recorded in the first quarter, NBS said in an online statement. Fixed-asset investment is an important engine of economic growth. Investment in the agricultural sector surged 32.1 per cent to 177 billion yuan. Investment in industry grew 16.3 per cent to 3.91 trillion yuan, while the service sector saw a 23.9 per cent rise to hit 5.04 trillion yuan. The property sector saw investment climb 21.1 per cent, up 0.9 percentage points over the same period last year. 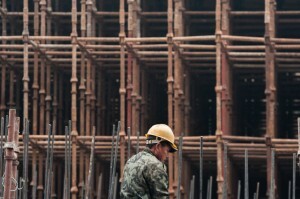 Data released last month showed the Chinese economy had expanded by 7.7 per cent in the January-March quarter.